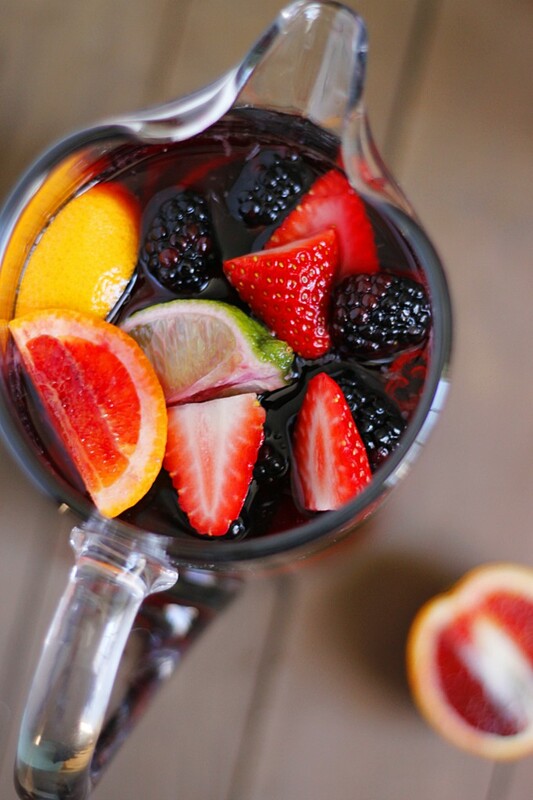 In a large pitcher, toss in all of the strawberries, blackberries, oranges, lemon, lime, and cinnamon sticks. Pour in the sugar followed by the triple sec, sparkling apple cider, and red wine. Stir a few times until the sugar is mostly dissolved. Place it in the fridge 4-8 hours and then serve.